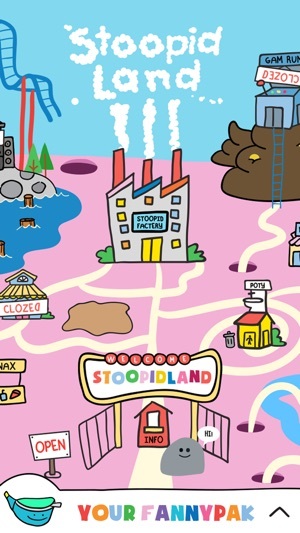 WELCOM TO STOOPIDLAND! 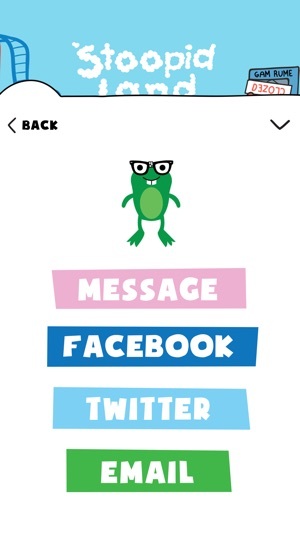 BY FAR THE STOOPIDEST APP ON THE PLANIT. HERE AT THE STOOPID FACTERY WE MAKE RELLY STOOPID STUF. 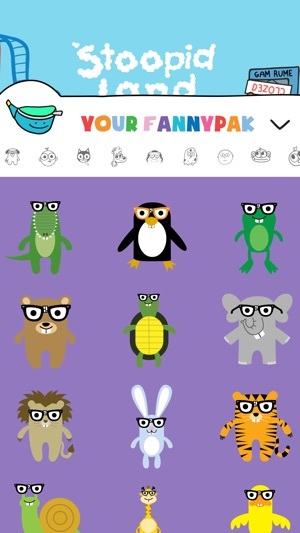 LIKE EMOJIS, STICKERS, AND GIFS. 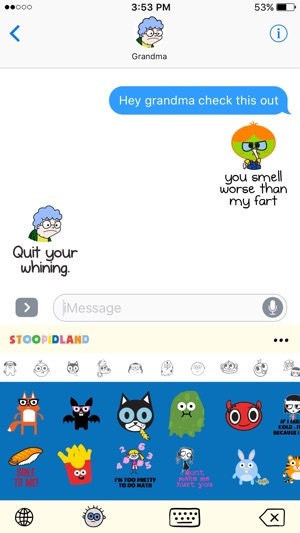 WE EVEN MAKE FARTING EMOJIS. SMELL NOT INCLUDED. SOON WE WILL HAVE GAMES, CARTOONS AND MERCHANDISE TOO. YEP YOU CAN BUY YOUR FAVORIT EMOJI ON A PAIR OF TIGHTY WHITEY UNDERWEAR. SO FILL YOUR FANNY PACK WITH TONS OF STOOPID EMOJIS AND MAKE ALL YOUR SOOPER FAKE FRIENDS JELLUS. REMEMBER DON'T BE STOOPID AND TRY THIS AT HOME. LEAVE THE STOOPID TO US.